The latest issue of CoroCoro shows off more Pokemon Sun and Moon variants, as well as some new monsters. Earlier this month it was revealed that a number of classic Pokemon would be getting a makeover for the upcoming release of Pokemon Sun and Pokemon Moon, with a video introducing ice variants of Vulpix, Ninetales, Sandshrew, and Sandslash, along with a much taller Exeggutor. According to the press release, this was the result of some Pokemon adapting to the "distinctive microclimates of the Alola region," with the new versions referred to as "regional variants." "After taking root in the Alola region, they live like native Pokemon. These regional variant Pokemon can have different appearances and types, and their way of living can also differ from that of the forms previously known." 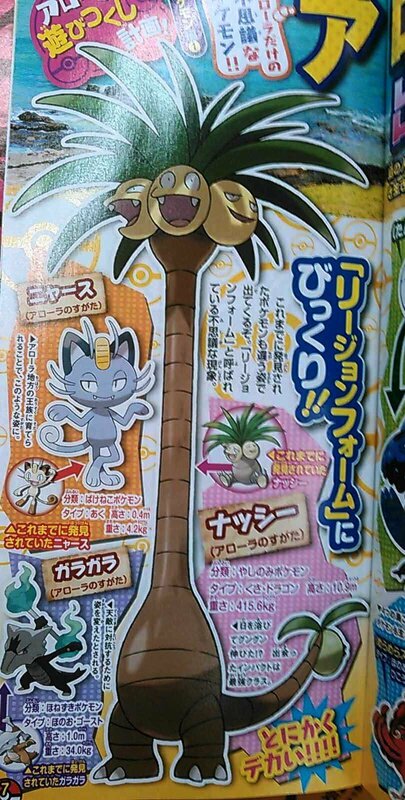 In the latest issue of CoroCoro (via Serebii), it was revealed that both Meowth and Marowak will also be receiving Alola makeovers for the upcoming games. Alolan Meowth is a dark type, while Alolan Marowak is a fire/ghost type. In addition to the new variants, some new monsters were revealed in the newest issue. 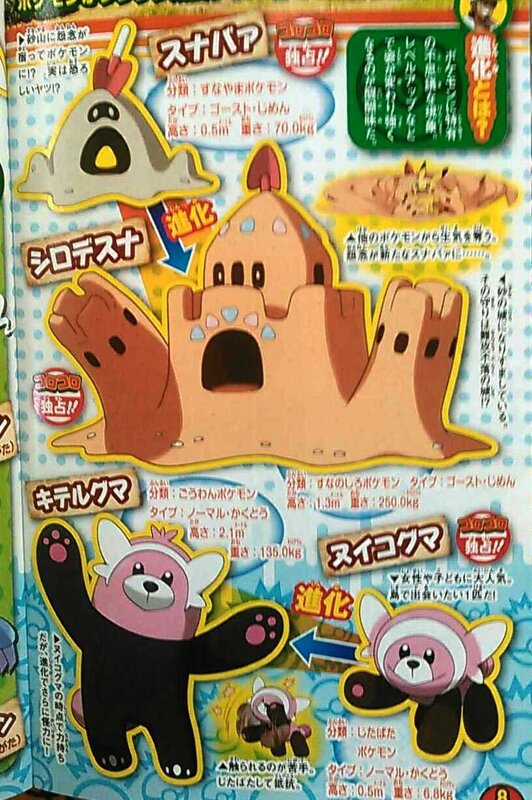 The first pair are sandcastle-style ghost/ground types, which in Japan are named Sunabaa and Shirodesuna. 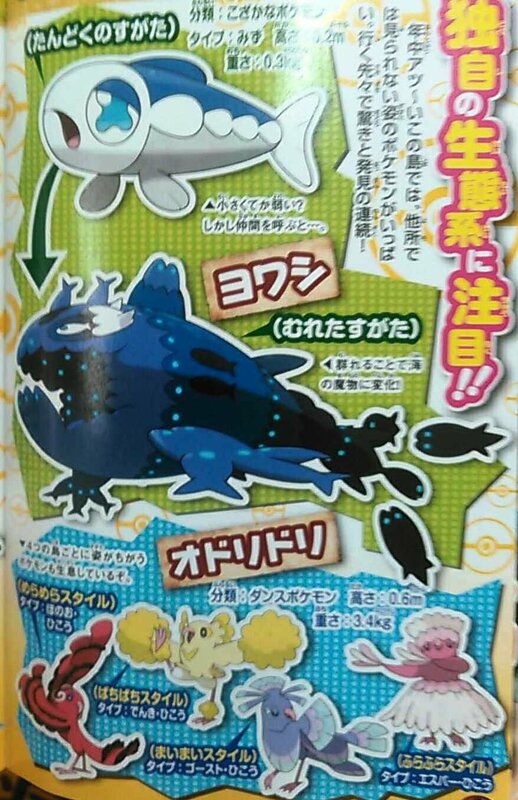 Next up is the water-type Yowashi, which then transforms into a larger school of fish. 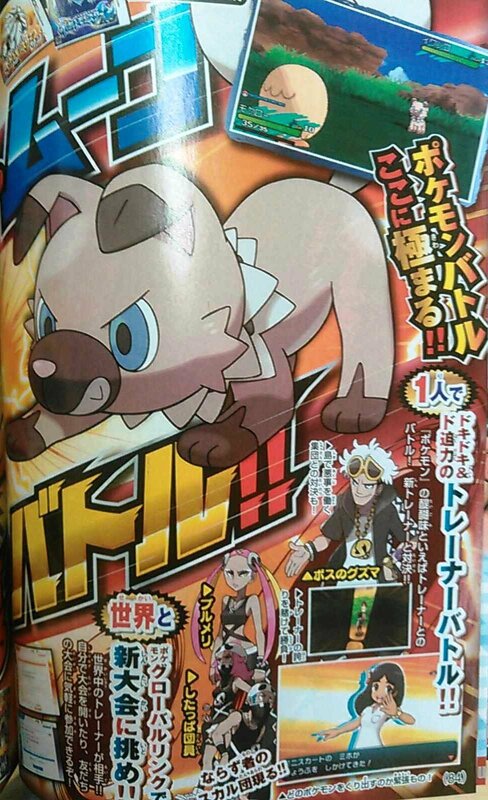 The issue also gave us a look at the pre-evolution form of recently revealed Bewear along with antagonists Team Skull.